Kevin and Craig have worked hard with their team of staff to bring good food to Long Stratton since opening in February 2016. The whole ethos was to bring great, freshly prepared food to South Norfolk but in a family friendly atmosphere and an environment where everyone can relax and enjoy themselves. We feel we have achieved this and now have excellent staff working with us in all areas of the business. We are proud to have received the award for “Best Family Dining Experience 2018” from all of the establishments in the South Norfolk Council area in only our third year. 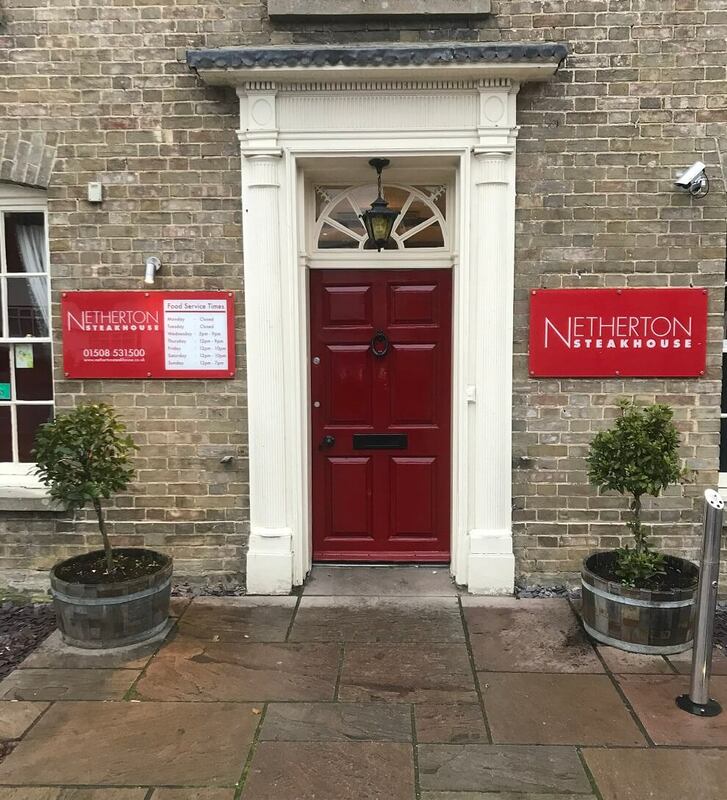 We have received excellent feedback and reviews about our steaks and burgers and these have always been very popular on our menu, so we have decided to extend our Steak range and to make it our speciality with the re-launch as Netherton Steakhouse. Our menu will still have something for everyone, including our range of burgers, as well as pasta, pie, fish, vegan and vegetarian options plus our specials board and our children’s menu. We hope you will enjoy the improvements we have made for 2019 both in the furniture for your improved comfort but also the changes in the kitchen which we think will make our new steak range taste even better. Our Chef’s have been working hard in conjunction with our local award-winning butcher Richard Dade from The Butchers House in Long Stratton to provide you with the finest quality locally sourced beef for your taste buds to enjoy.